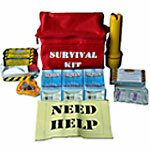 SafetyMax has been the leader in custom emergency kits for businesses since 1991. By offering a variety of packaging, fill options, custom imprinting and quick turnaround time, SafetyMax can deliver exactly what you want at the right price. 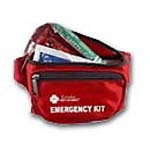 If you are one of SafetyMax's National Supply customers, we can create a custom kit just for your company, post it on your on-line catalog and then build and ship it to you all within 24 hours. http://www.safetymax.com Copyright ©2000-2008 SafetyMax. All rights reserved.